Select Version of GetRight to Download for FREE! 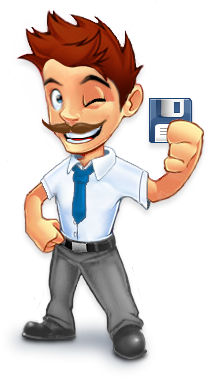 GetRight extends your file-downloading power by resuming broken downloads and offering easy error recovery and many other features, to give you faster and more flexible downloads. You can use GetRight to schedule your downloads for later. It can dial your modem at the set time, download the files you want, then hang up or even shut down your computer when it's done. GetRight has several features to make downloading faster; it can use FTP searching to find other places where a file may be downloaded, then switch between all the download sites transparently, to ensure that you use the best one. And GetRight can segment a file and download different pieces of it, from different servers, at the same time--another way to increase your download speed. Other features include skins, to personalize the look of your downloads; username and password storage; several different ways to let you file your downloads into different folders on your computer; a "speed limit" that defines GetRight's share of your modem's resources; a browser that allows you to browse both FTP sites and Web pages to add batches of files; the ability to download the same file (such as stock reports or news) on a daily basis; and support for multiple ISP phone numbers. GetRight will integrate with Netscape Navigator, Microsoft Internet Explorer, and Opera to automatically take over your download, making the whole process easier.